Electronic Arts shepherded in the Electronic Entertainment Expo 2018 with quite a bang. 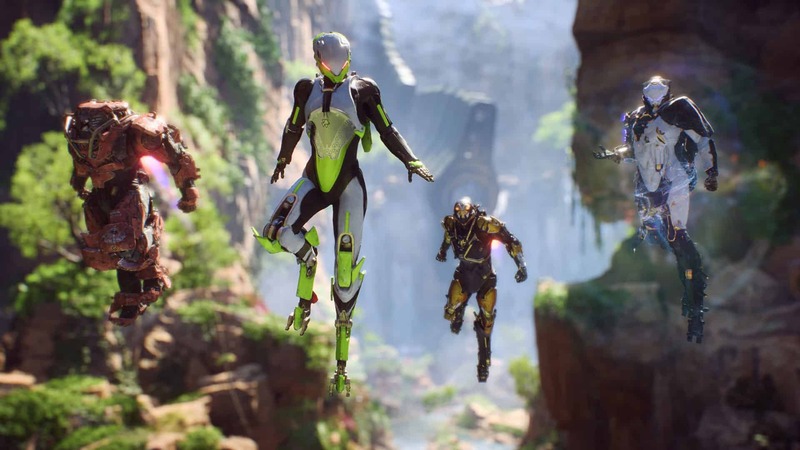 Besides the usual EA Sports titles and other surprises, the publisher ended EA Play with one of 2019’s most anticipated titles: Anthem. In fact, it was such a spectacle, that over 20-minutes were devoted to just this game. For good reason too, as Anthem is shaping up to be the game that Bioware needs. Thanks to the conference, we now know that the game will release on PlayStation 4, Xbox One, and Microsoft Windows on 22 February 2019. While still a ways off, it is not as far as one might expect for a game that we have not heard much about. As you might expect, this raised some immediate concerns. Thankfully, EA delivered in a spectacular way. The first thing fans and eager players got to see from EA was a set of awesome videos showing off some of the cinematics and gameplay that we can expect. First up is an excellent cinematic trailer meant to hype up the game. Following that is a gameplay demo. Yes, I said gameplay — the game really does look that good. The trailer features a decent look at the armoured suits – called Javelins – that players will don, and the almost Iron Man-like powers that players will employ. As if the videos are not enough, EA proceeded to invite Bioware up on stage where they did something a little bit different from the norm: address player concerns and questions. 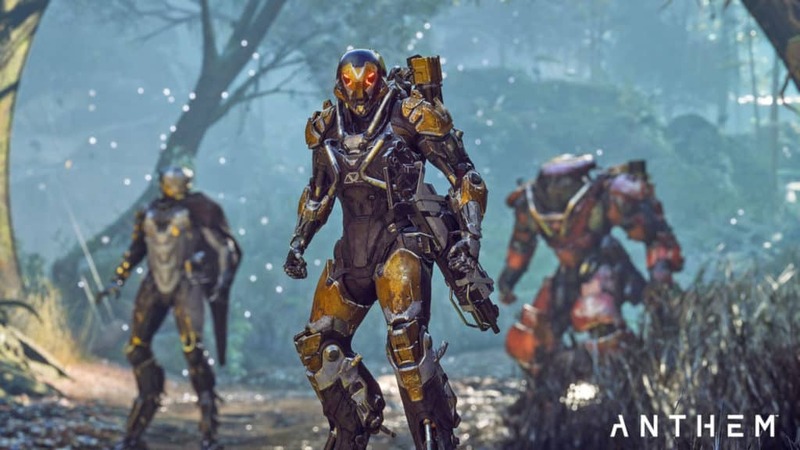 Among the questions asked, Bioware confirmed that Anthem is a leap forward for the company. It is a game that the company never thought they would develop — and that they are equally as scared as many Bioware fans may be. In particular, Bioware head honcho, Casey Hudson, mentioned that the game will be entirely different from their usual narrative-focused action-adventure titles. While it may be completely viable to play the game solo, the game is built to be a multiplayer co-op experience. Lead writer Cathleen Rooseveldt stated that the game is meant to be alive, while not compromising on story — one of Bioware’s core tenets. The game will be built around a single-player hub area, which is designed to accommodate both the main story quests, and vendors that players will interact with. Jumping into gameplay however, will put players into a shared world. This falls in line with what we have seen in games such as Tom Clancy’s The Division, and Destiny. 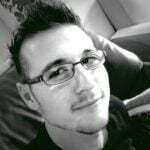 Another important question addressed by the Bioware team was the case around lootboxes and microtransactions. In this case, the team reiterated that there would be no lootboxes. Instead, Anthem will go the usual multiplayer title route with direct cosmetic purchases. This means that players will know what they are buying before they commit, and that no gambling will be present in the game. Furthermore, this segment also confirmed that the game will have customisation for both player avatars, and their Javelins. All of this will cement the fact that players can make their Javelins their own. I, for one, loved this informal segment of EA Play, since it felt sincere and genuine. While I am certain that the entire Bioware team rehearsed their answers to some extent, it did not feel disingenuous. As a personal fan of Bioware, I want this game to thrive, and so far the studio is doing an excellent job.